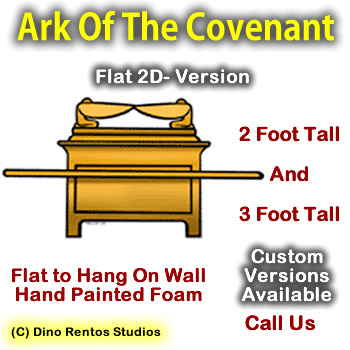 Ark Of The Covenant - Flat 2D Foam Display/Prop - Dino Rentos Studios, INC. This is a flat, 2D version of the Ark Of The Covenant. Have it made in 2 foot or 3 foot. Contact us for custom sizes.